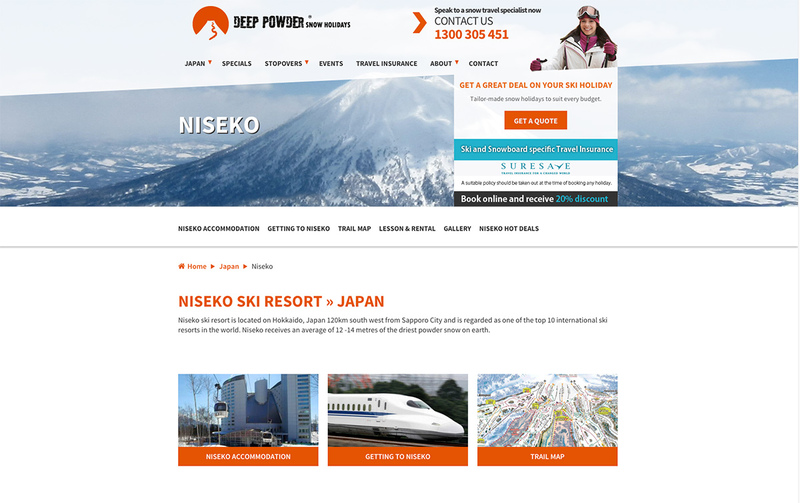 A leading ski and snowboard travel company that provides holidays to the majority of Japan ski resorts including Niseko, Rusutsu, Furano, Zao, Appi, Nozawa Onsen, Hakuba, Naeba, Shiga Kogen and Myoko Kogen. DEEP POWDER Snow Holidays have been booking in Niseko since the mid 90’s and are one of the true pioneers the local travel industry in Niseko and Japan. 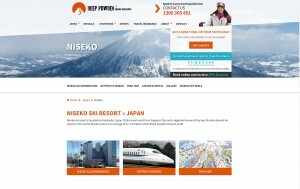 The Deep Powder team know Niseko inside out and put together epic holiday packages.